Ipilimumab is a human monoclonal antibody against cytotoxic T-lymphocyte antigen 4 available as an immunotherapy mainly for advanced melanoma. It induces an activation of T cells, resulting in an immune-mediated anti-tumor response and also immune-related adverse events, including hypophysitis. The aim of this review is to identify and discuss features concerning ipilimumab-induced hypophysitis (IIH). A MEDLINE research of all years of publication of IIH was conducted. We gathered information regarding clinical, radiologic and laboratory features of 71 cases recorded in the literature. In our review, IIH was more frequent among older and male patients. Fatigue and headache were the most frequent initial clinical manifestations of IIH and enlargement of the pituitary gland at MRI was present in the majority of patients. Those who received more than 3 cycles of ipilimumab had more fatigue (p = 0.04) and arthritis (p = 0.04). 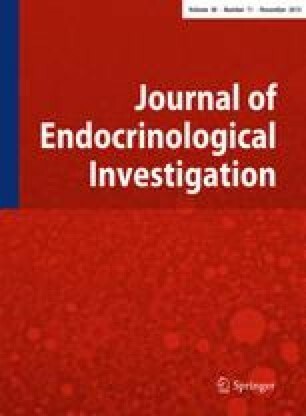 Adrenal insufficiency was more prevalent in men (p = 0.007). Glucocorticoid therapy and hormone replacement were required in most patients and pituitary function recovery was uncommon. Low prolactin at diagnosis tended to predict permanent pituitary dysfunction (p = 0.07). Hypopituitarism as a consequence of IIH, if not promptly recognized, can lead to potentially fatal events, such as adrenal insufficiency. IIH can be easily managed with glucocorticoids and hormonal replacement; therefore, physicians should be familiar with the key aspects of this condition. More studies to develop screening protocols and therapeutic intervention algorithms should be performed to decrease morbidity related to IIH. The online version of this article (doi: 10.1007/s40618-015-0301-z) contains supplementary material, which is available to authorized users. This study received no grant from any funding agency in the public, commercial or not-for-profit sectors. This is a retrospective study and all patient data were collected from the chart.